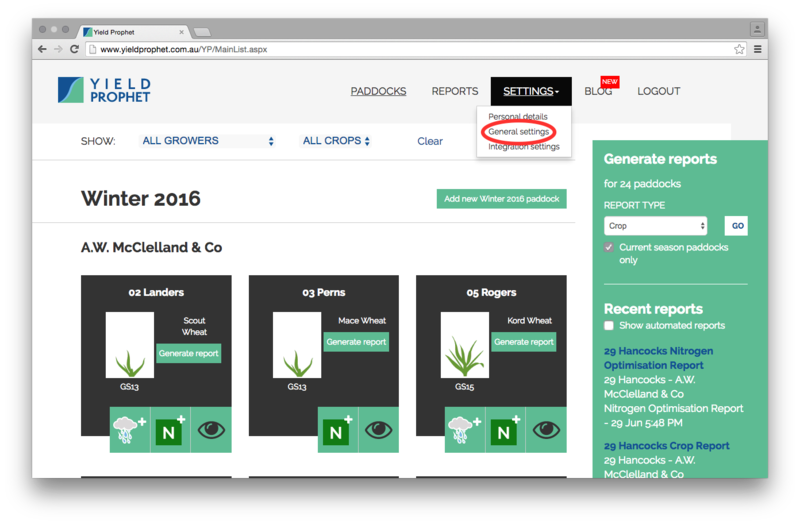 We’ve made updates to the Yield Prophet website. 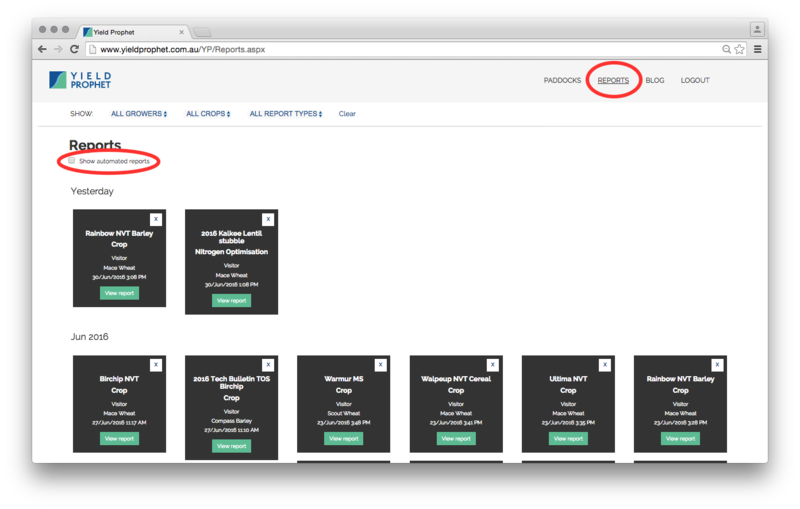 Below are some tips to help you navigate the new changes. 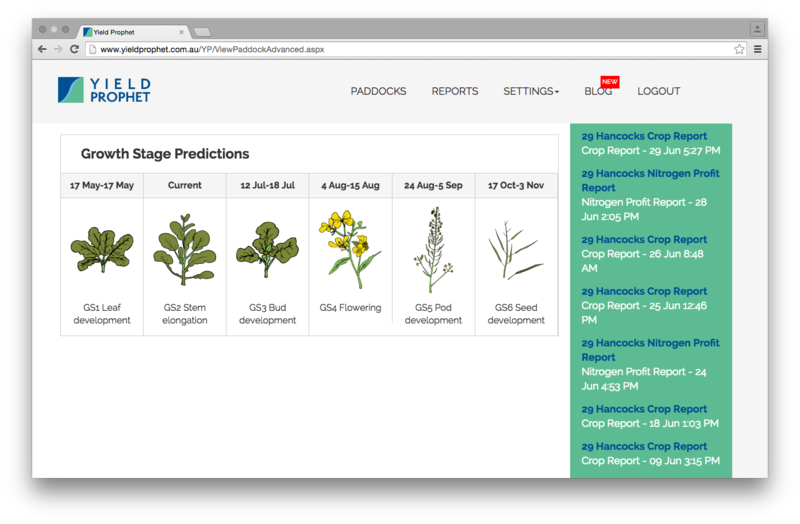 You can view growth stage predictions either in the Crop Report or on the ViewPaddock screens. 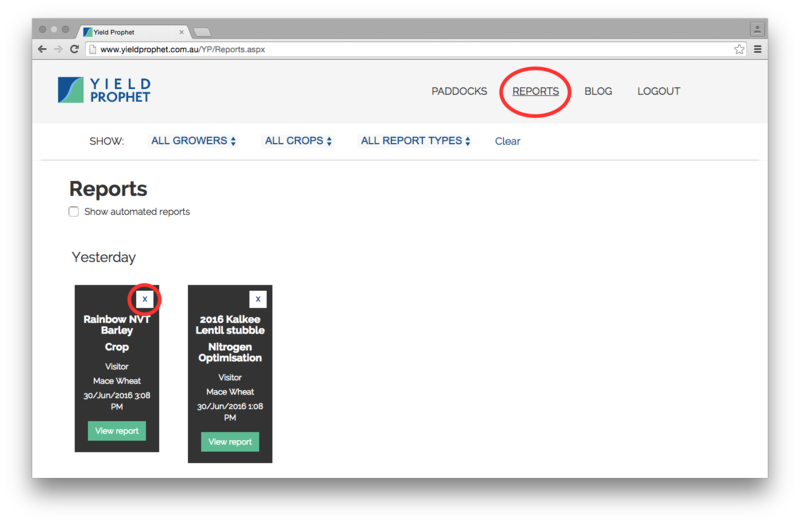 In ViewPaddock , the green sidebar now has a quick link to the latest report generated for your selected paddock. 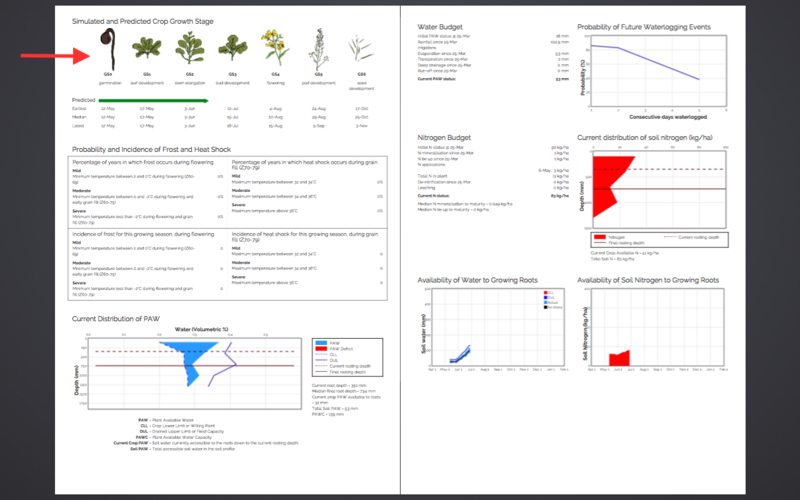 It will list an Autoreport if that is the latest crop report generated. 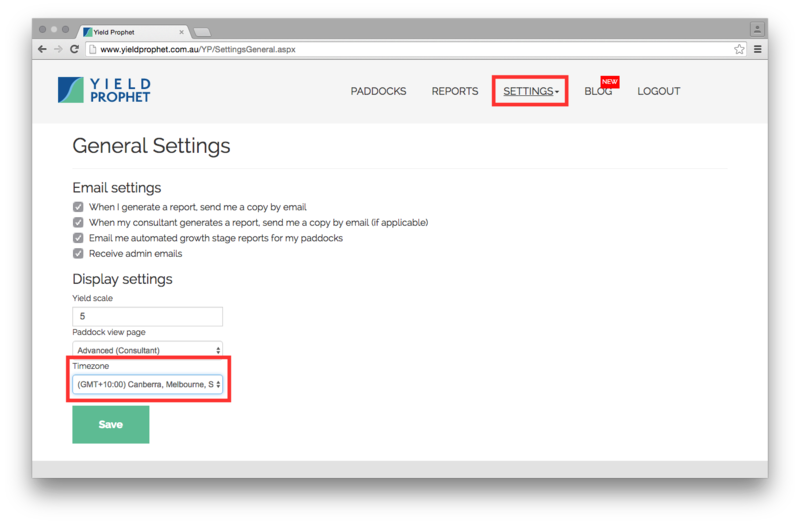 You can check or uncheck the box at the top of Reports Page to to ‘Show automated reports’ in the list of reports. This is unchecked by default. 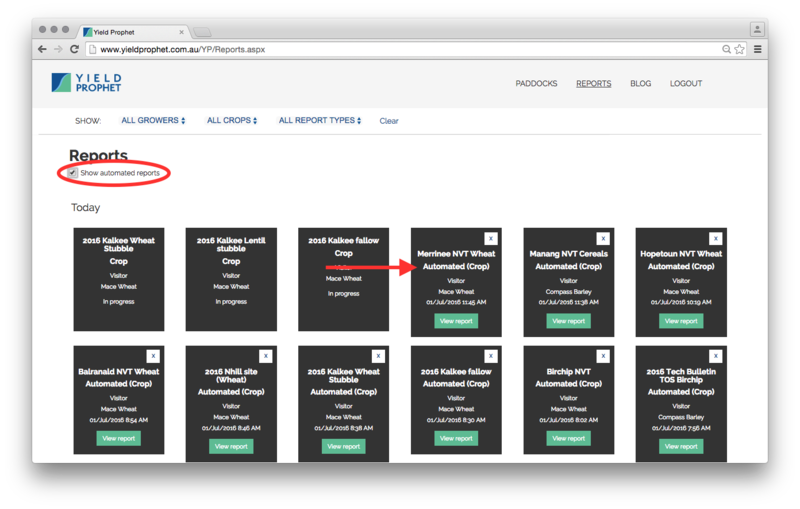 If the box is checked, autoreports show up in the list as ‘Automated (Crop)’ report. Enter the Report Page and click the X in the corner of the report you wish to delete. 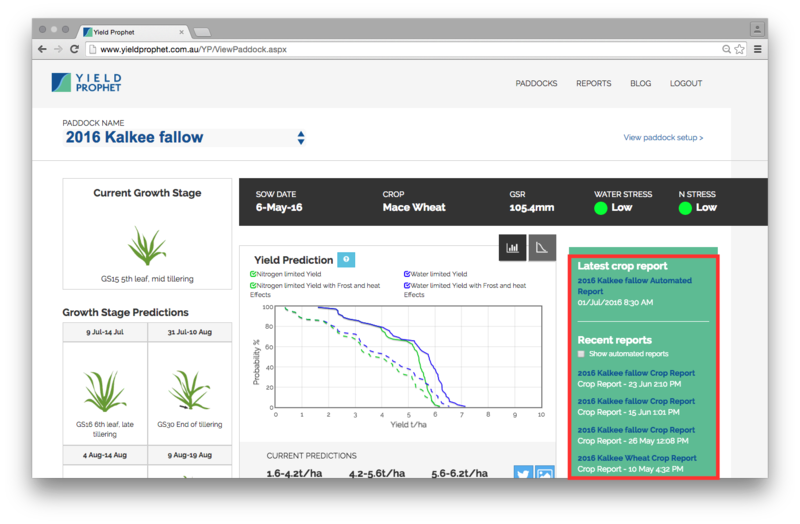 In ViewPaddock you are able to Tweet your Yield Prediction graph and generate discussion with your online community. 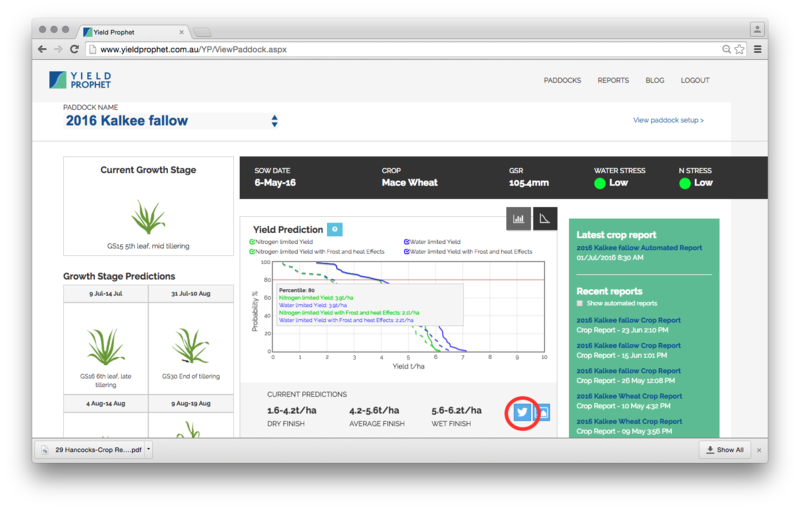 Make sure you select the graph icon in the Yield Prediction box then click the Twitter icon . Every user in the system has been assigned a default timezone based on the state in their address. You are able to update this field in the General Settings page.